Let’s start with some questions. Be honest, and don’t feel too guilty if you answer yes to any of these. Do you have pictures of a child’s birth stored in the same folder as that child’s most recent sport season? Are your parents and in-laws waiting to see pictures from your family trip that happened 3 years ago? Have you ever lost photos because the phone you took them on was lost or broken? We live in an age where we take pictures and videos, maybe post them online, then forget them. This is because we go to an event and return with dozens (or more) of pictures. How do you keep track of so many photos? If you can’t manage them, you can’t view and re-live those memories. Given the sheer number of pictures most of us have, it can feel overwhelming. But if you follow these 7 steps, you can, in time, have a functional photo organization system. 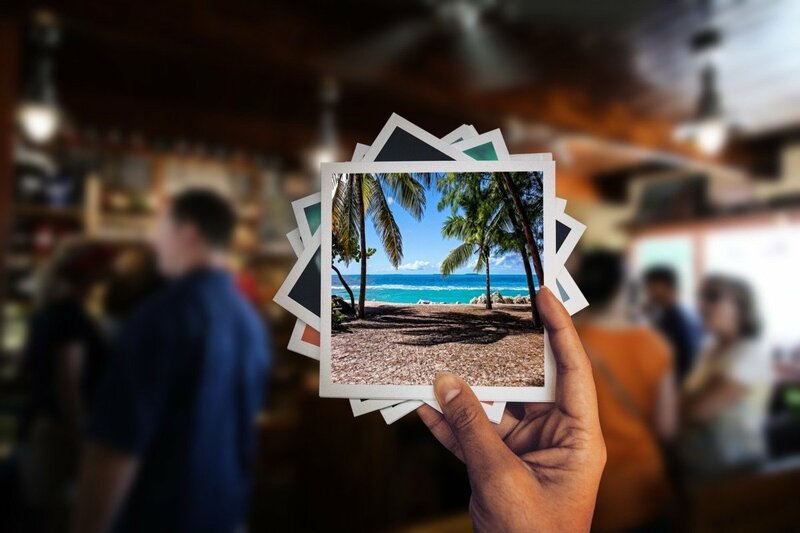 Right now, you may have photos in many different locations. The goal is to get everything into one place, so the question is, what is that one place? Will you be storing everything on your home computer, or will you use an Internet or cloud-based storage service? Do you plan to share them with others, or will they be mainly for your immediate family? Weigh the pros and cons of each (see below), as well as your specific goals, then make a decision. Here are the advantages and disadvantages to local and online storage. Storing photos on a local hard drive is an “old school” way of doing things, but there’s nothing wrong with it. You should have a backup, preferably offsite. This protects you from losing these photos should your hard drive fail, or from more severe issues, like a house fire. Backup services like Backblaze and Carbonite address these issues. Sharing files with others can be an issue. Image files tend to be large. Emailing too many at once may not work. The more modern way is to use some sort of cloud-based online storage, like Dropbox, Google Drive or iCloud. If you use an Android, you can configure Google Photos to backup all photos and video to Google Drive. With an iPhone or iPad, the same holds true with iCloud. Dropbox (and others) have photo syncing built into their apps, so you can do the same there. Once set up on your phone, pictures automatically backup. Make sure you set it up to sync over wifi only. This is to protect you from going over your cellular data limit. Very easy to share photos or entire albums with others. Cloud-based providers focus on viewing photos on a computer (or phone or tablet) screen. Resolution for on-screen photos can be lower than print quality. Since a smaller photo will download quicker, they often reduce the image quality. This means that if you want to print those images, they may come out grainy. If you have plans to print your photos, make sure you can store and download them at full resolution. Most provide this as an option, but charge for it. Look at the options available to determine what is best for your situation. So you’ve decided where to store all your photos. It’s time to start moving them all there. It will be a little tedious, but start uploading or copying photos. For now, don’t worry too much about organization. If you happen upon duplicates and bad photos during this stage, delete them. Now is the time to look for duplicates and bad photos. Delete them as you find them. Give the photos meaningful names. For family history archiving, include complete names of people along with complete date and location. Consider using tags if your software allows it. Using tags makes it much easier to sort and find images. Use tags to identify people, places and things. The end should be in sight now. The remaining task is organizing the photos in electronic folders. There is no set-in-stone, right system to do this; do it in a way that is logical to you. Maybe “pro tip” is a bit much, but it’s certainly a useful tip. A common method to organize them is by date and event. Another possible way to organize is by person, so all the pictures of that person are together. Remember to do what is most logical for you and your specific situation. If you’ve decided to store photos on your hard drive (or on an external drive of some sort), you should have a backup. If you are storing your photos online, that company is managing backups. Barring some sort of cataclysmic event, you’ll have access to your photos. Congratulations, you did it! Now that you have organized them, use them! Share them with loved ones and friends. Print them. If you want to make family history books, let us know… we would love to help. The next post in this series will offer some pointers for curating video. There are some similarities between curating photos and videos, but the process is slightly different. You make memories. We make them last. Join our Community of Storytellers!